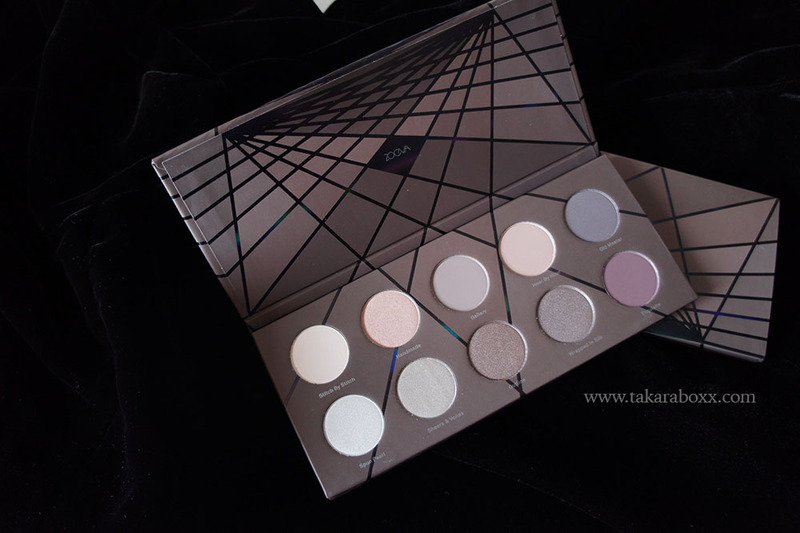 It is not a surprise that a captivating and creative design is once again present in this newly launched En Taupe Palette by ZOEVA Cosmetics. Utilizing light reflecting strips which interlace to form an intricate two-point perspective is the base of the design – it also reminds me of strings which flow together to form a piece of fabric. This highly anticipated eye colour palette is not only beautiful in it’s outer counterparts; the pigments inside are drool-worthy. The new ZOEVA En Taupe Palette is determined by a variation of warm and cool tones taupe shades, complementary to every skin tone. Inspired by previous fabrics, it alludes to a tailor-made silk robe that flows gracefully with every movement. 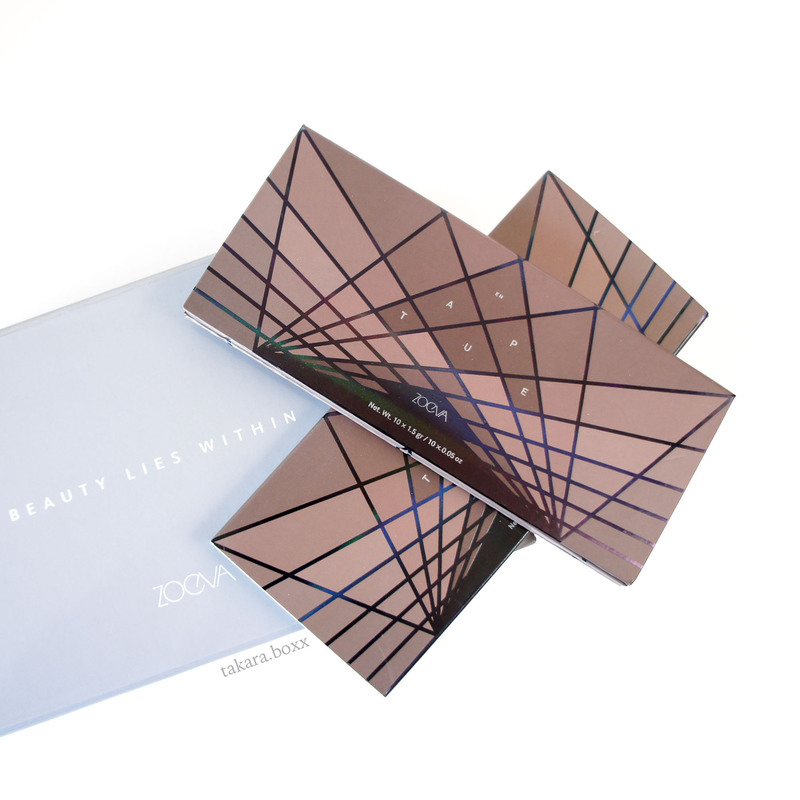 The ZOEVA En Taupe palette comes in a paper sleeve with identical packaging designs as the palette itself. 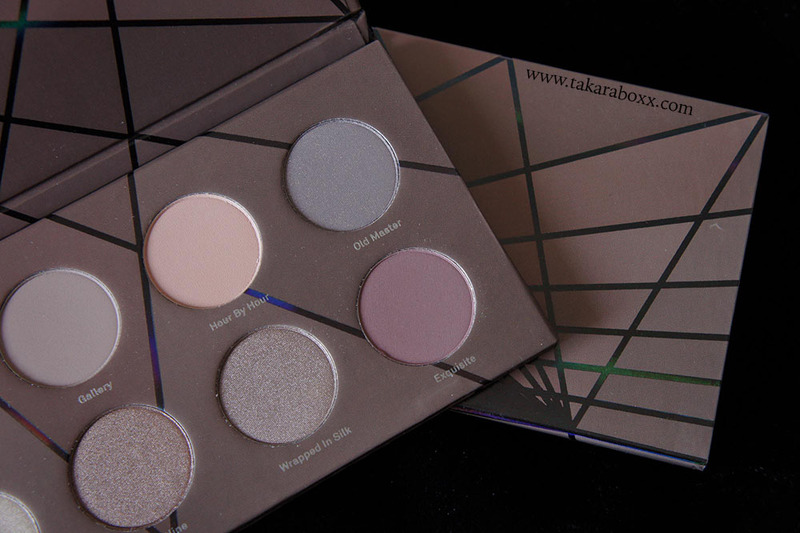 The palette has a very smooth magnetic closure. Of note, it does not have a mirror included; however, I don’t mind that at all. Personally, I don’t use in-palette mirrors much and I find they get covered really easily from loose powder. I much rather my eyeshadow palette look sleek and clean than as if I dunked it in flour. 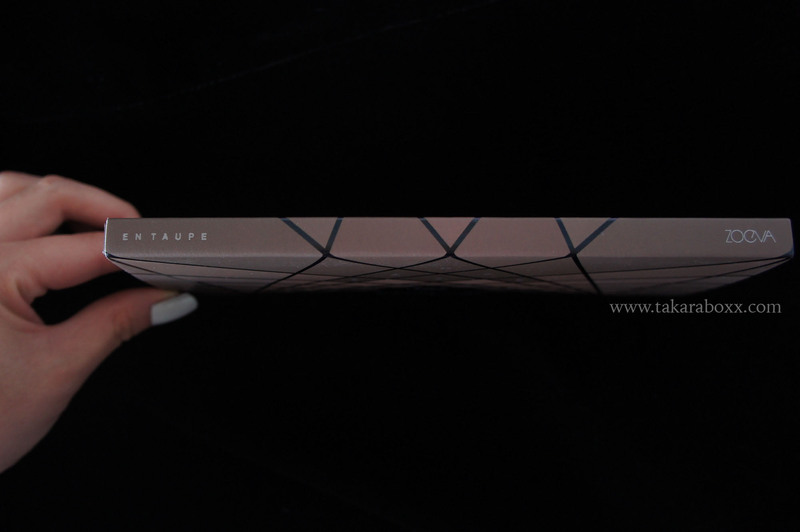 There are 10 warm and cool toned taupe shades, each containing 1.5 g / 0.05 oz (palette itself has 15g or 0.5 oz). 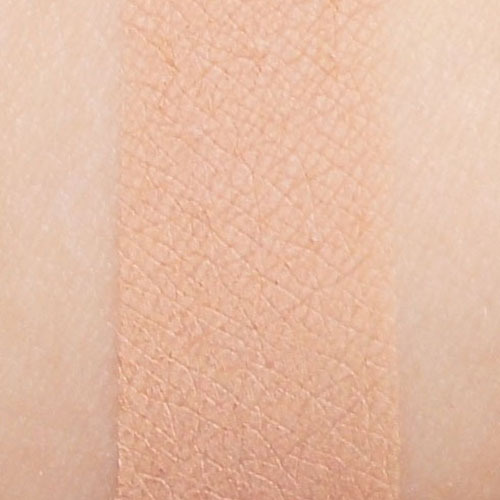 A warm and versatile beige perfect for highlighting the brow bone, all over the lid or to emphasize part of the eye. 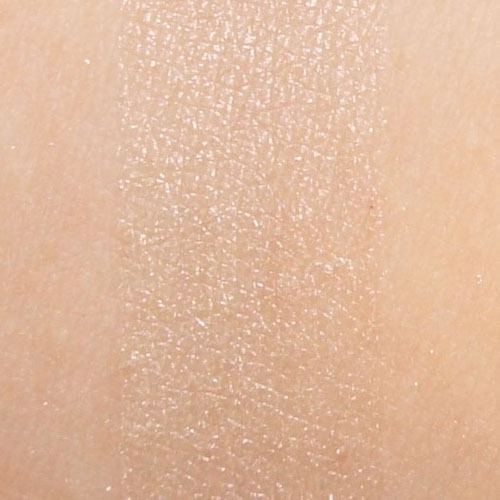 This shade is more on the powdery side but still very creamy and build-able for sure. My favourite shade in the whole palette. A rose-gold luxury with a frost finish. It feels like butter (I don’t use this expression often). I love it so much if there was a whole palette with only this shade, I’d purchase 10 of them in a heartbeat. Extremely pigmented. Extremely blendable. I ADORE THIS. A cool-toned grey with earthy undertones. Great shade as a wash all over the eyelid or as a transition colour. 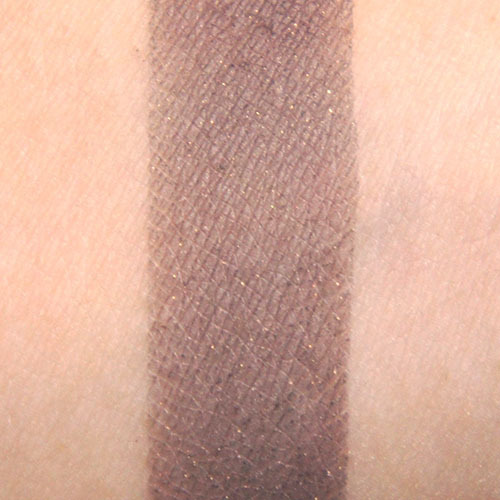 In terms of quality, I would have liked a bit more pigmentation but as a transition shade it works perfectly. Warm peachy cream that is easily buildable and very rich to the touch. If I were to choose a shade that is the most unique out of the whole palette, Old Master would get my vote. It is a matte grey-brown, sort of like a slowly roasted block of cement with a dash of rose-gold shimmer mixed in. 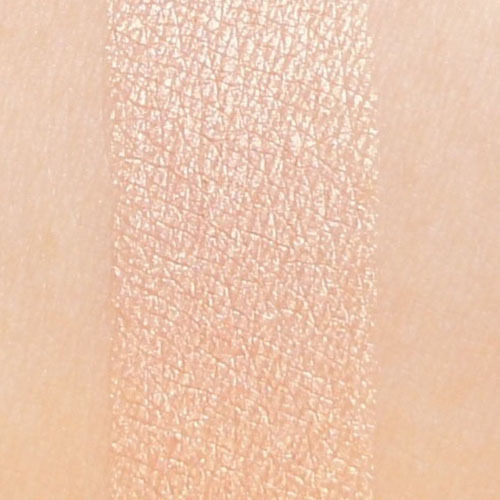 It swatched beautifully I kept rotating my arm under the light because I was so mesmerized from the micro-shimmer. 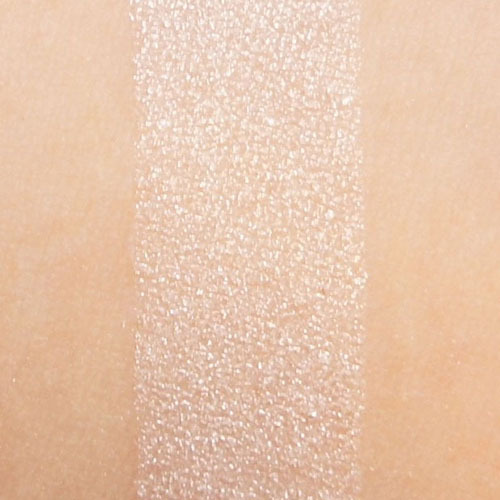 This shade will definitely sparkle in the sunlight! The glitter is really fine and there was no fallout at all. 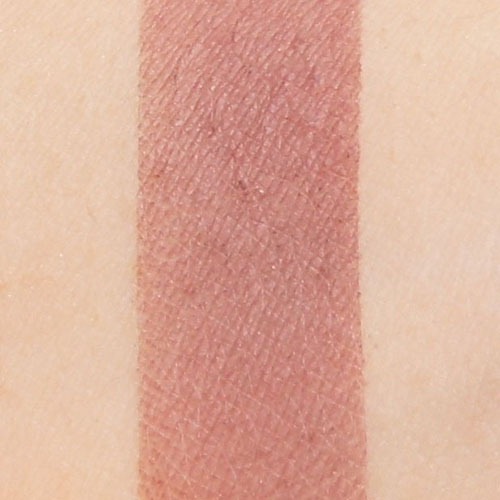 Whoever named this shade deserves an award. There is no other way to describe it other than the lustre of a freshly opened pearl. 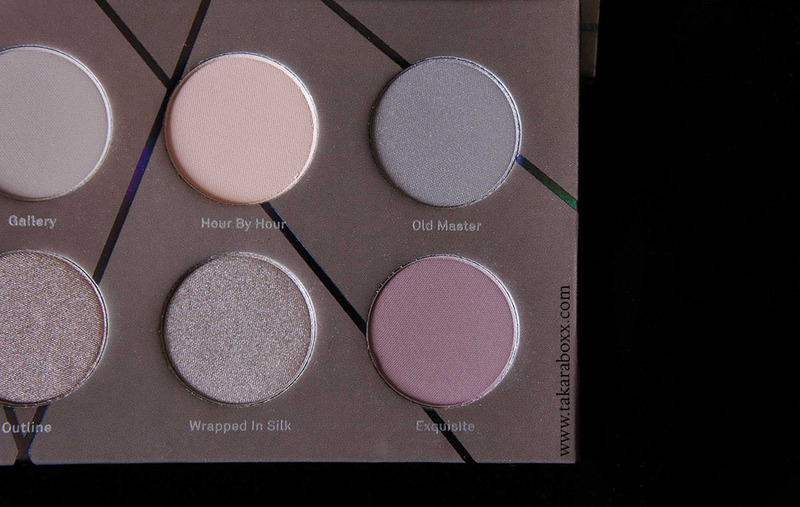 Similar in texture to Handmade, this hue is perfect for highlighting the inner corner of the eyes. 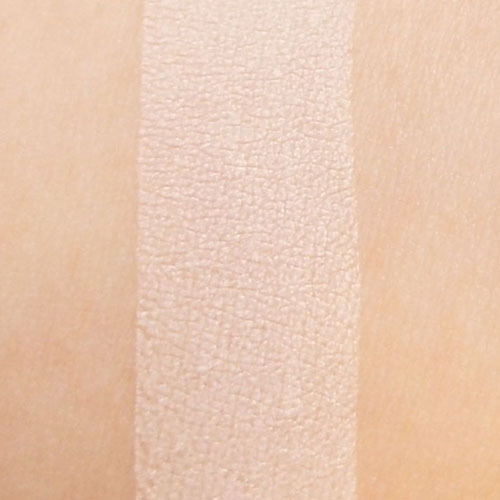 I found this shade to be very sheer. It may also be due to my skin tone but it really just looks like my skin but with a sparkling glow. In the pan it is a warm grey with a light-reflecting pink undertone. The mix of warm and cool within one shade is probably what made it blend so nicely. True to the ZOEVA description, these shades are flattering to all skin tones. I see this becoming a favourite for days I just want something subtle. 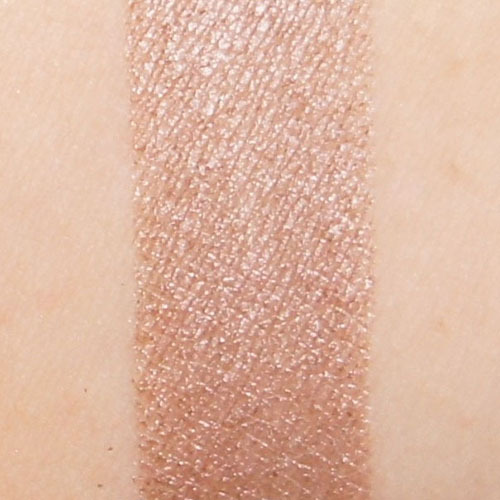 Outstanding pigmentation, this warm copper will function nicely both as an eyeshadow and as an eyeliner. The blendability is great and the texture is luscious. 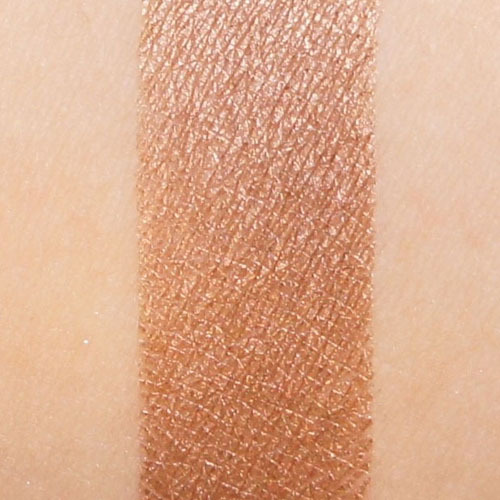 It reminds me of a mixture of my two favourite shades in the LORAC Unzipped Gold palette. An antique brass. I can find similar shades in a variety of different brands so it’s not very unique in my book but nevertheless a very elegant and versatile colour. The only shade in the palette which definitely packs more colour. If you took a raspberry, a plum and sprinkled in some grey pigments, you would get this colour. To be completely honest, I don’t gravitate towards these shades for the eyes since it has a high likelihood of making me look bruised but I look forward to playing with this more. 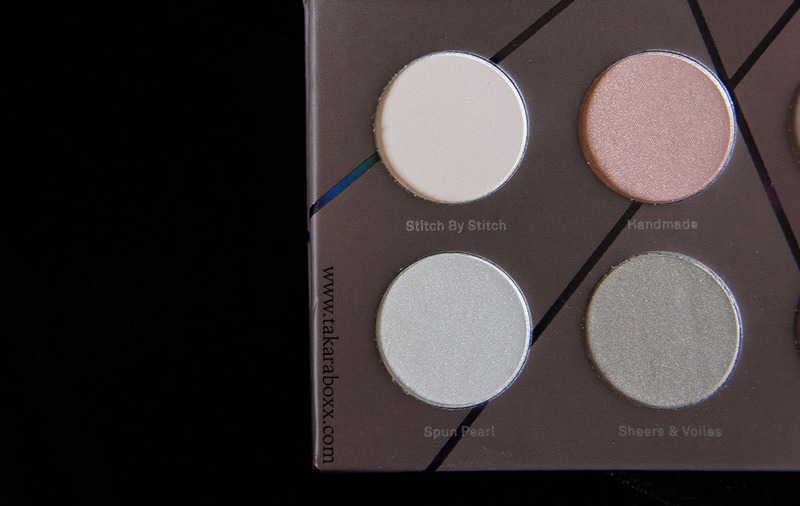 …a luxuriously pigmented batch of colours in a slim and lightweight palette. 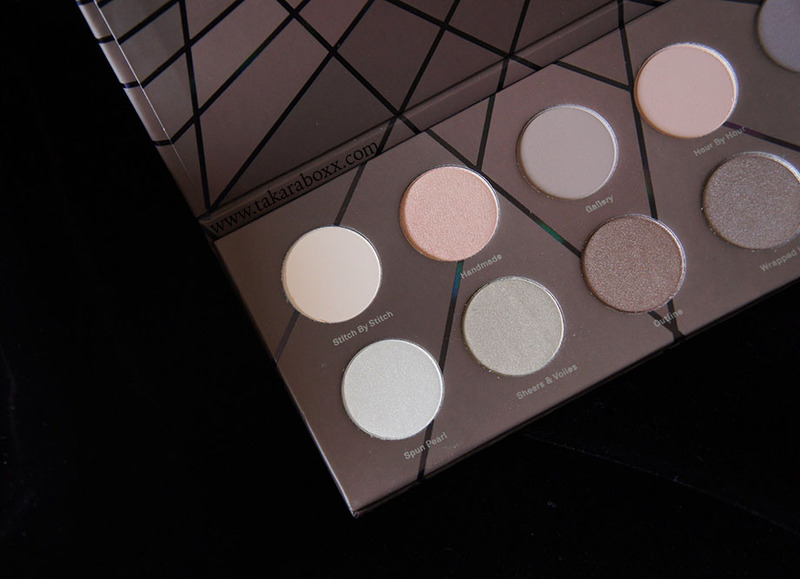 From the individual shadow naming to the creative packaging design, you can definitely feel the passion and thought which was poured into the makings of this palette. 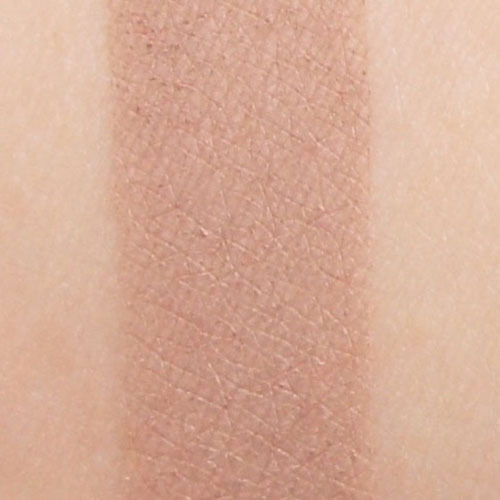 Taupe is a very versatile spectrum of shades which compliments many skin tones and if you’re looking for a high quality product with a mixture of different eyeshadow finishes, ZOEVA En Taupe may be for you! 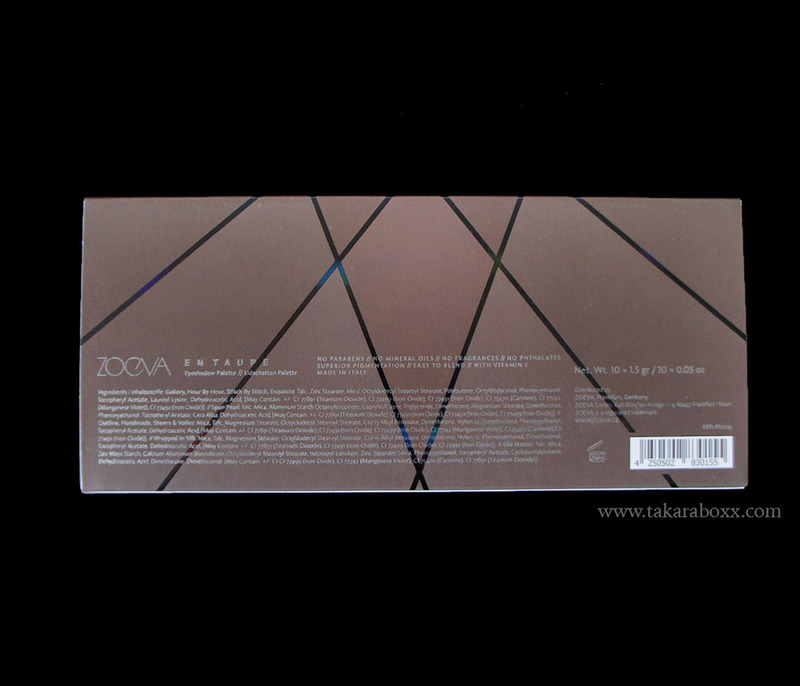 More pictures for your viewing pleasure…..
Disclaimer: This palette was kindly sent to me by ZOEVA for testing and review; however, as usual, all opinions expressed are genuine and my own. I want this palette with all my heart! It’s gorgeous and perfect for both day and night time looks! Thank you. I Love Zoeva 🙂 I want this palette. It is my wish.